Finished this morning (well, I still have to hand stitch the invisible binding on the back but other than that, the work is completed). 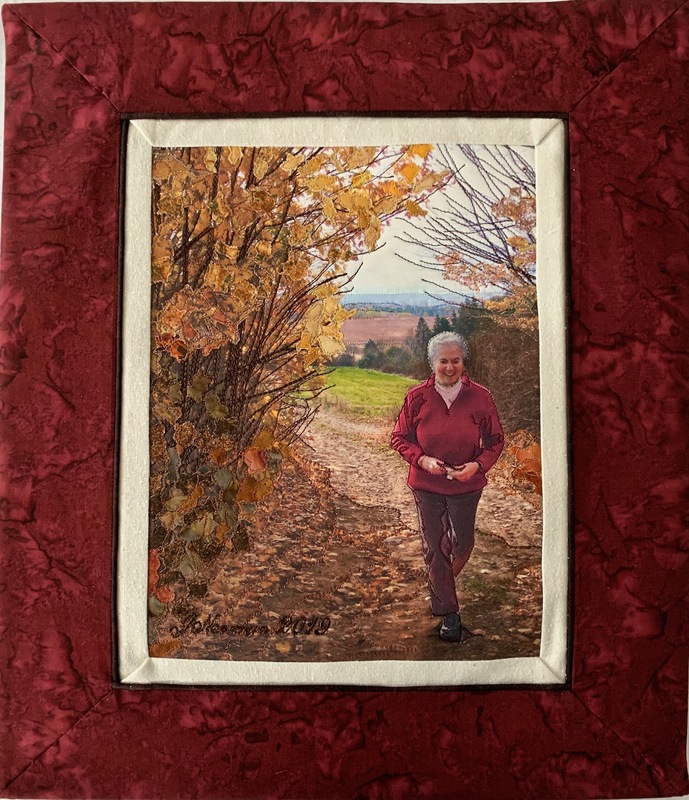 The burgundy batik used in the border/frame brings out the figure – I tried other contrasting fabrics but the burgundy worked best, I think. After I’d stitched the trunks and branches of the trees/bushes, the fused appliqué was easy to apply. Once in place, I decided to edge stitch the small pieces in autumn shades that blended with the leaf colour. I had to think through carefully stitching the shading boundaries on the figure (it’s actually a photo of me, used with David Lacey’s permission) because mistakes would be undoable. So I opted for just the minimum of stitching. I achieved quite a bit of texture with the fused appliqué and overall the finished thread painted work is more lively than the original photos printed on fabric. The whole work took much less time than I thought it would in spite of the large amount of thread painting I ended up doing. 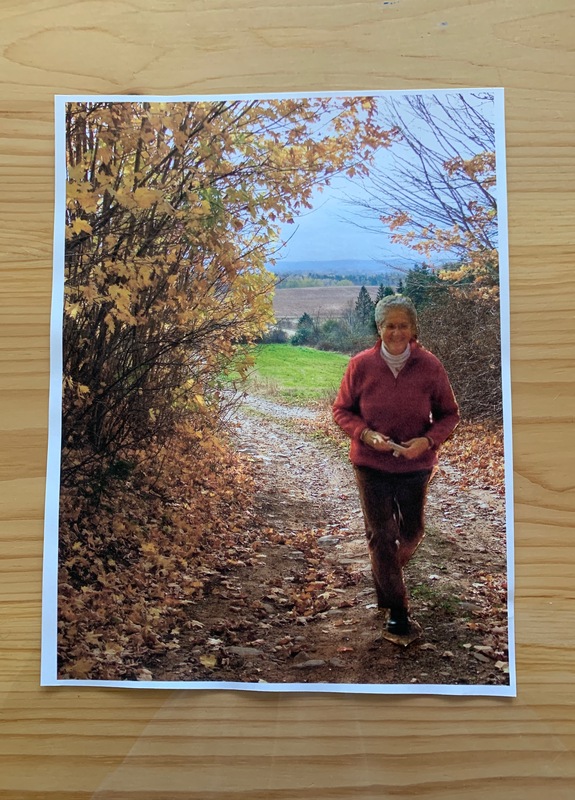 I started playing with the images on or around the first of April, printed the images on fabric and began the piece in earnest on April 7 – so I finished it in just over a week; not bad. I’m pleased with the finished art work.